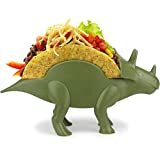 I don't recall ever thinking that a triceratops would make an excellent taco holder, but this cool new TriceraTaco has made up my mind. 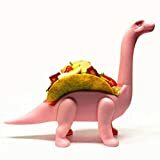 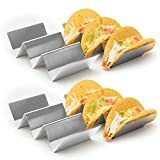 Shaped like a prehistoric triceratops, this ingenious dinosaur taco holder supports two hard taco shells upright on its back. 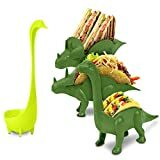 Perfect for kids, but I think adults might want one too as they voraciously eat their crunchy tacos and roar out loud at the dinner table.